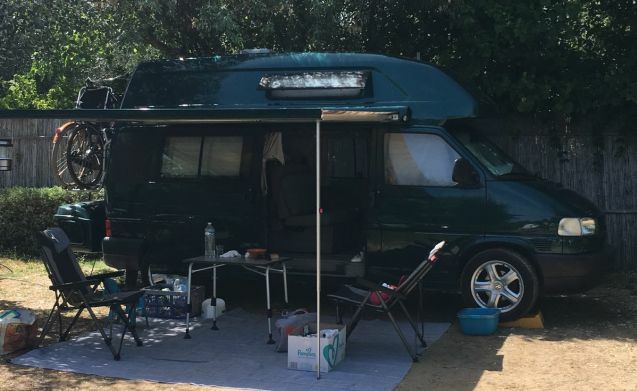 De Groene Draeck – Compacte, Westfalia 'California Exclusive' zeer compleet uitgerust! 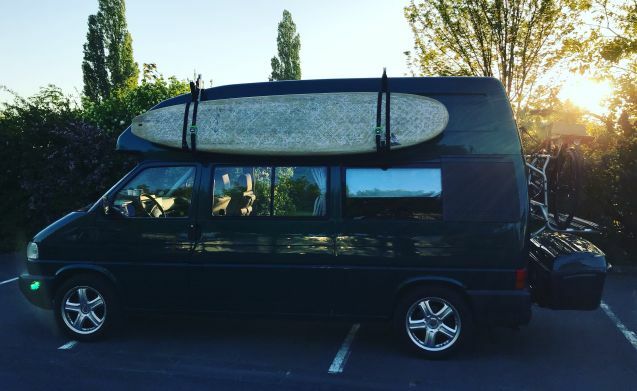 For rent: Volkswagen Westfalia California Exclusive camper bus with 2.5 TDI engine (136HP! ), Toilet, air conditioning, cruise control, solar panels and an outdoor shower! Pioneer multimedia system with navigation, Bluetooth, Apple Car play, Android Auto and reversing camera. Annually maintenance at Camper Centrum Amersfoort (official VW camper dealer) so 100% well maintained and safe! 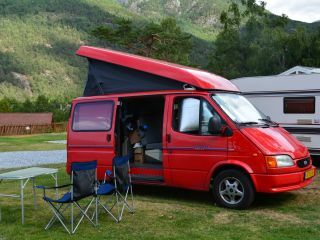 Look in 'youtube' on 'zwerfbus exclusive' for video and explanation of this type of camper. Delicious compact camper with all amenities. - Solar panels so you do not have to stand at the plug to keep the fridge running and to charge your phone. Completely self-sufficient, therefore, with normal consumption of electricity. - Outdoor shower to rinse off after the beach or just take a shower if you are not at a campsite. - Kitchen with gas stove, fridge / freezer and very complete inventory for 4 pers. - 2 person bed at the bottom with delicious new top mattress to size. This bed is not ideal for extremely tall people. Fine up to 185 cm. - This motorhome is out of 97 and therefore environmental zones in some cities have to be taken into account. - Please bring your quilt, duvet cover and pillows yourself. Mattress covers are present. - Further available: hammock, levellers (stelblocks), 220v cable connection camping, windscreen camping, windscreen beach, Lamzac beanbag, ground cover, yoga mat, safety pouches, environmental stickers, first aid kit, toilet fluid.